This entry was posted in Any Occasion Cards, Cards, Friendship Cards, Get Well Cards, Papercraft, Thank You Cards, Thinking of You Cards and tagged cardmaking, Coredinations, DoCrafts Papermania Afternoon Tea, DoCrafts Xcut Elegant Lady, handmade cards, Papercraft, Spectrum Noir, Spectrum Noir AquaBlend pencils, Spectrum Noir Metallic pencils, Spellbinders, Spellbinders Divine Eloquence, Spring2017CLH, Thermoweb Sticky Tape by dannscraftingwhims. Bookmark the permalink. 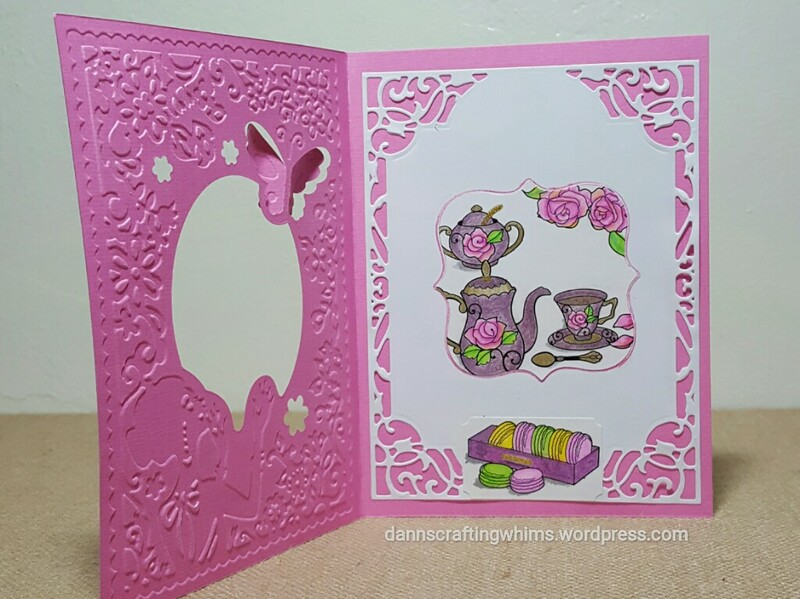 Oh my, the embossing is wonderful…love all the pink too! I love all this pretty pink! It makes me think of tea parties and all things girly! Love it! Fabulous! This is so perfect for the Spring Coffee Loving Card Makers Blog Hop, and I’m so happy to have you share your talents with us all. Have a blessed week! D.ann genial , fein , wunderschön . So pretty and sweet! Perfectly, Spring! so pretty with the window and the lovely tea set. 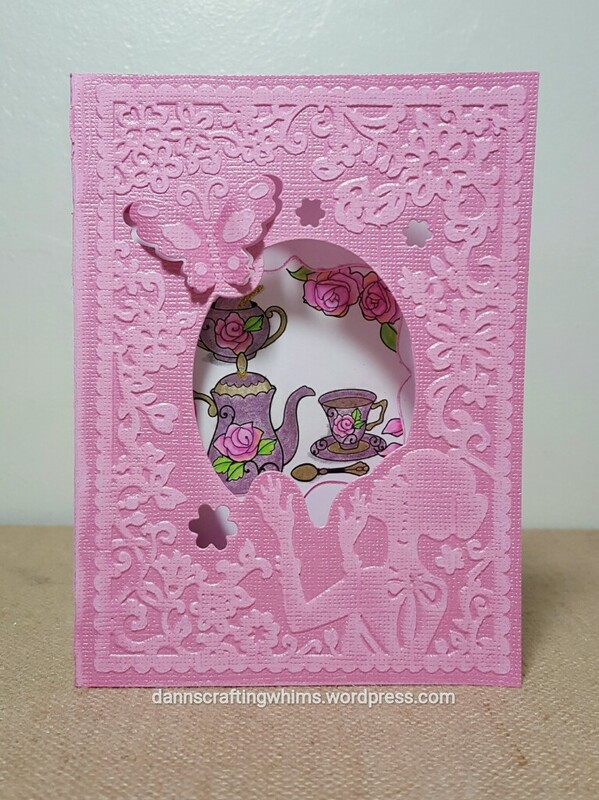 What an awesome embossing folder – love that! And your card is beautiful. Wonderful crisp embossing, love it! So pretty, lovely embossed panel. Such a pretty peek a boo design. Love the embossing too. 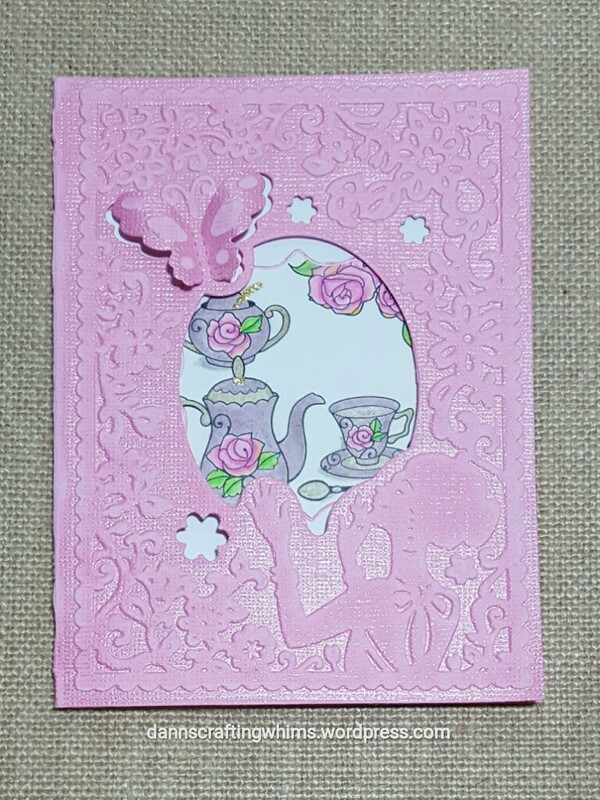 What a great embossingfolder and love your card. Oh wow! Love your pink embossing!!! Beautiful card!! !